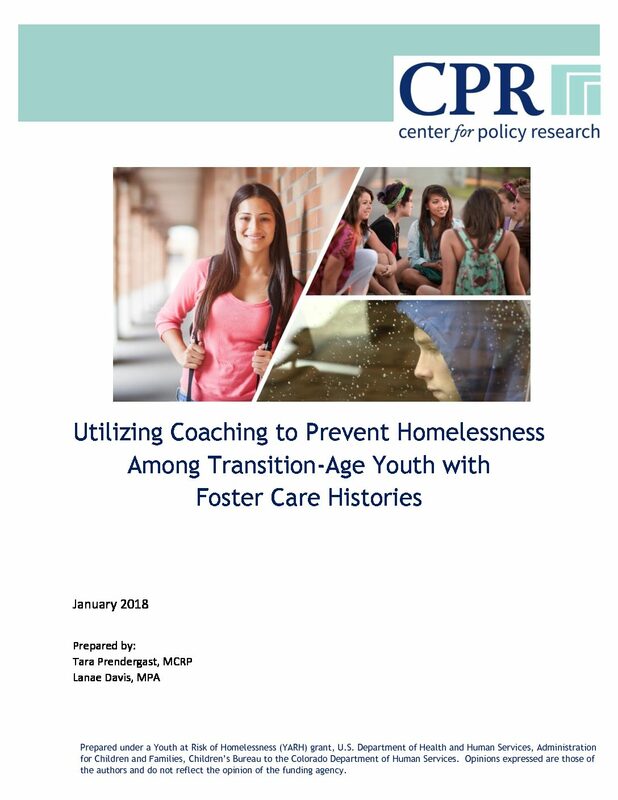 Since 2013, Colorado’s Department of Human Services (CDHS) Division of Child Welfare has been collaborating with partner agencies to design, implement, and test a model intervention designed to prevent homelessness among youth with current or prior foster care involvement. The U.S. Department of Health and Human Services’ Children’s Bureau program titled Youth-at-Risk-of-Homelessness (YARH) provided funding. Through an iterative cycle of design, implementation, testing, and adapting the model intervention, coaching emerged as a core component. This research brief provides an overview of the employed coaching model, and in-depth examples of the practice and impacts of the model in working with at-risk youth. Our brief draws on qualitative data from youth focus groups, in-depth interviews with navigators and their coaching trainer, and observations from navigator workshops.